A "relaunch" is effectively a "reboot" and in our case means the fundamental revision of a web presence. A so-called "website relaunch" does not have to be limited to design changes only. Rather, it gives you the opportunity to review and redesign content, simplify the navigation structure or optimize the speed of the content management system (CMS). But beware! If you make several changes simultaneously, unwanted errors can sneak in and present you with far-reaching consequences. A classic case is that, after the relaunch, the site fails to get any visitors through the Google search. The search engine optimization, or SEO, should already be part of the relaunch process during the review phase. Ideally, you should not try to “integrate” or hand in your SEO efforts at later time. Good SEO is, in fact, not an accessory installed once, on the fly, but a permanent and continuous process. A website relaunch should generally improve the quality and readability of all pages and makre sure that the information contained can be easier found and used by both visitors and text-searchengines. Both Google, the searchengine, as well as a website’s users remember how URL‘s are structured. If a website-relaunch changes the navigational structure, URLs, or the names of directories, the old URLs should still take the user to the new destination for all content pages, even after the relaunch. This requires you to set up so-called redirects for every URL. If this does not happen, users will become frustrated and Google irritated. The usually ugly consequence of this is the loss of good ranking positions. 1: Generate an XML or HTML sitemap from the “old” website before the relaunch. This can easily be automated and gives a good overview of the different existing page URLs. 2: Using Google Analytics, or a preferred analytics software, identify the URLs and landing pages that receive a sufficient amount of weekly or monthly traffic, both from organic searches from Google and those through social networking sites. Usually these URLs are easy to find and export. 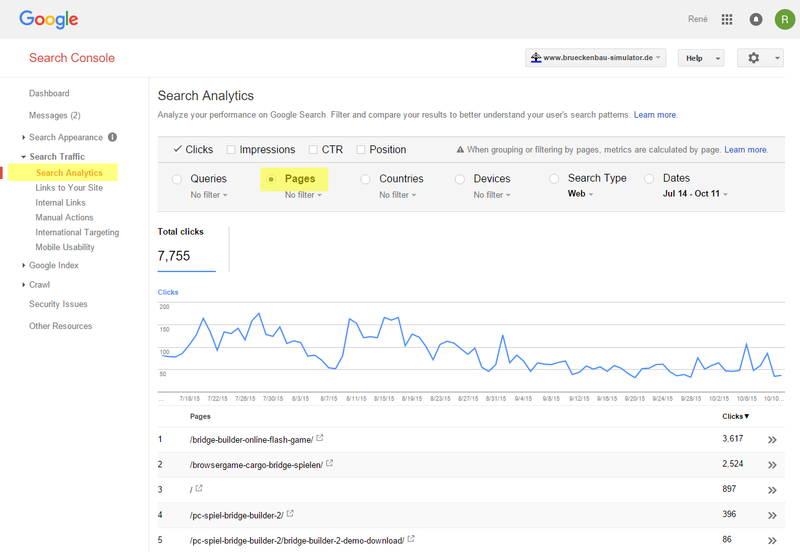 3: Use data from the Google Search Console (formerly known as Google Webmaster Tools) to locate pages with many visits. Navigate to the tab Search Traffic > Search Analytics and you can quickly filter your website for the URLs with lots of clicks. This data can, of course, also be downloaded. 4: The use of commercial software can save additional time and effort. 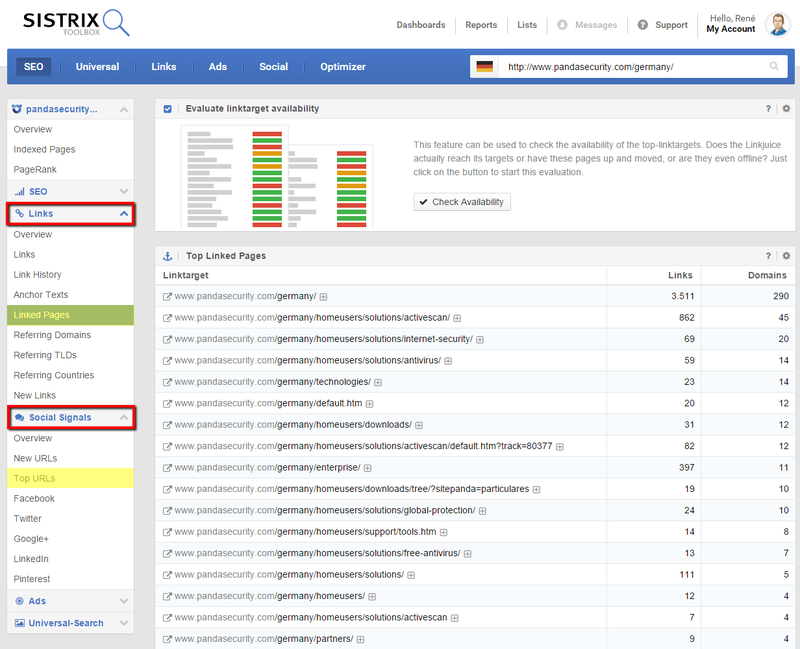 Using the SISTRIX Toolbox , for example, you can see which URLs on your website rank well in Google and have a correspondingly high number of backlinks and social signals, with just a few clicks. If, during the website relaunch, individual pages are deleted or their URL structure changes, the affected page URLs must be redirected their new counterparts. This means that, for the above example, the URL www.domain.com/products?p=1&sID-Tag=easter-special will change during the relaunch to www.domain.com/easter-special/. Both visitors to your site and Google remember and know the “old” URL. The redirect will ensure that even after a website relaunch, a call to the “old URL” ends up taking you to the “new counterpart” – both the users and the GoogleBot will be redirected. To-Do: Changed URLs and directories, as well as deleted pages, should be forwarded by a so-called 301 redirect to the new URL, or the corresponding equivalent content. Deleted pages, for which there is no equivalent in the relaunched site, should return the HTTP status code 404 or 410. The following chart explains the technical process of a 301 redirect. Setting up and creating a 301 redirect is both simple and easy. Redirects can be set up regardless of whether you are using PHP, the .htaccess file in the Apache web server, or through an alternate web server (nginx, lighttpd or IIS). There is no justifialbe reason to refrain from adding helpful redirects for your users during the relaunch. The existing URLs could no longer be used and or redirected on to the newly structured content. This quote is from the Prime Minister of the State of Schleswig-Holstein, on the website relaunch of their state portal, which had a 460,000 EUR price-tag. A lack of technological understanding at the expense of taxpayers resulted in a fall in ranking positions and loss of traffic from Google search. This does not have to happened! To-Do: If the website relaunch has been accomplished and the new site is finally online, it becomes necessary to check these redirects as well as verify some other important parameters. 1: Generate a new XML- and HTML-sitemap, after the completed website relaunch, and upload it to the Google Search Console. Additionally, you should use the function “Crawling” > “Fetch as Google” in the Google Search Console in order to make the searchengine aware of the new pages and their URLs, as soon as possible. 2: Google Analytics or other web analytics software should be monitored over several weeks to see whether the traffic through the organic search on Google is decreasing dramatically, and whether the traffic from social networks continues to be satisfactory. 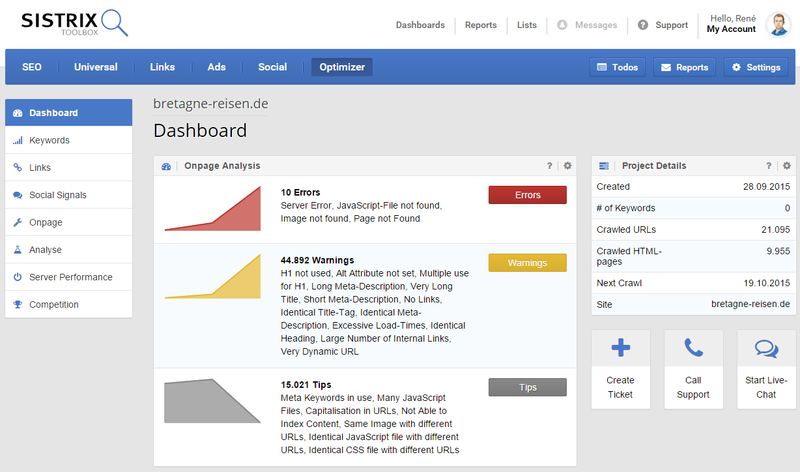 3: With the additional use of the SISTRIX Toolbox your own website can be automatically checked for a variety of SEO pitfalls and optimization possibilities. Thanks to easy-to-understand recommendations for your action, your website can be steadily optimized, step by step. You can also moinitor the ranking changes for a relaunch through the Toolbox. 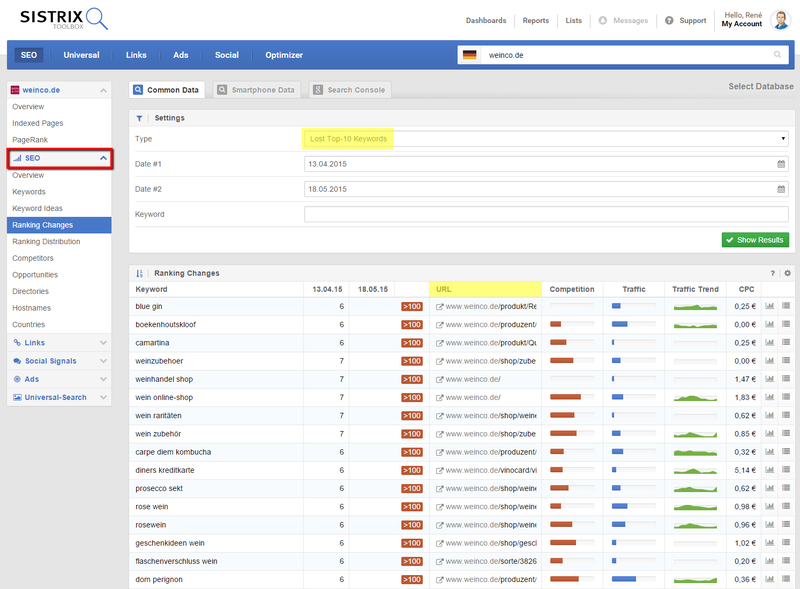 This enables you to quickly find keywords that have lost some or all of their rankings, for example. Here, it is necessary to examine whether the URLs that ranked prior to the website relaunch are still accessible for Google and visitors or whether they have been forwarded properly. 4: Use the SeeRobots (Firefox & Chrome) browser plugin to identify pages that are accidentally blocked for Google. Pages blocked for Google and other search engines cannot be returned for a web search and are not ranked for any keyword. 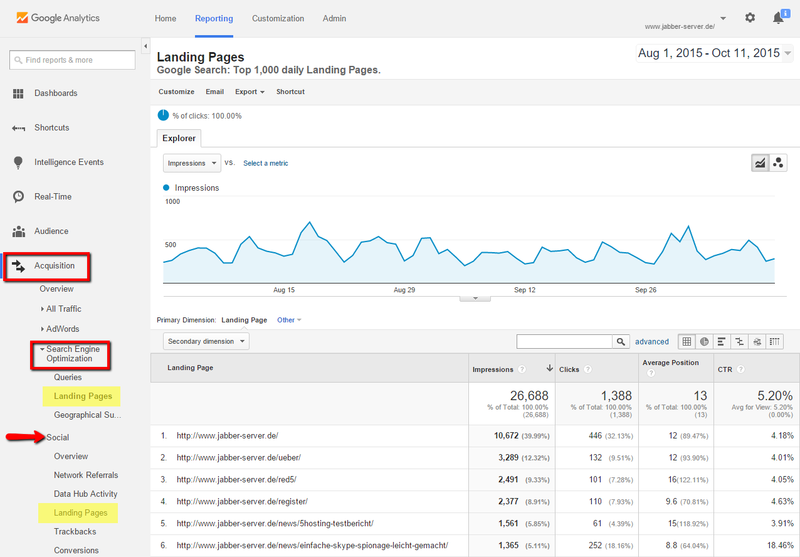 After the relaunch you should check the most important pages on the site, to see if they are still indexed. 5: The browser plugin Redirect Path by Ayima can be used to verify the correct HTTP status code of redirected URLs. Google only recognizes a URL change as being permanent if the HTTP status code “301” is returned by the web server when redirecting a URL. 6 – Tip: Also make sure you redirect your own domain names correctly! Often you will own a variety of spellings of your brand names as domains. For example, with additional hyphens or with umlauts (ä, ü and ö), so-called IDN domains. Each additional domain name should also redirect via a 301 redirect to the selected “main domain”. When entering the IDN domain www.gründerküche.de, the web browser correctly passes on the defined default domain www.gruenderkueche.de. At closer examination, you will notice that the web server has returned the HTTP status code 302 instead of 301. Unless there are good reasons to do so, please generally use a 301 redirect . If a website relaunch is only ever performed with redirects, your users and rankings will benefit!